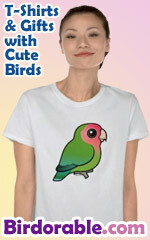 Twitching is a method of birding where birdwatchers follow rare bird sightings to see new birds. 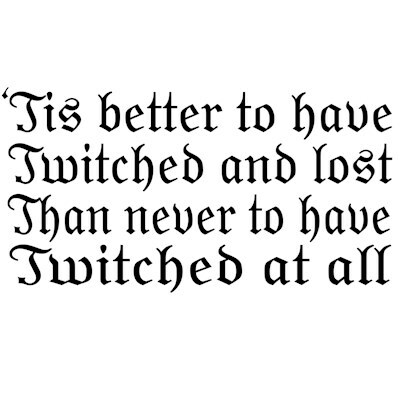 'Tis better to have Twitched and lost Than never to have Twitched at all. This fun design is a play on Shakespeare's famous line about love. Getting that twitch is great, but so is the twitching itself. Great gifts here for serious birders, twitchers and birdwatchers. To order by phone, call toll-free at 1-877-809-1659 from Monday - Saturday 9:00am - 9:00pm EST. You'll need to note the Product Number 030-220560951 to make your order.